WILMINGTON, Del. (CN) — Remington Arms Co., the company that manufactured the Bushmaster AR-15-style rifle that was used in the Sandy Hook shooting, filed for bankruptcy Sunday as gun sales slump. In its filing with the U.S. Bankruptcy Court for the District of Delaware, the Madison, N.C.-based company said it has between 5,001 and 10,000 creditors and assets at between $500 million and $1 billion. Bought in 2007 by Cerberus Capital Management, the company reached an agreement on Feb. 12 of this year that allowed holders of the gunmaker’s $550 million term loan to have a 82.5 percent equity stake in the company. Creditors also agreed to provide a $100 million loan to help finance operations, but that wasn’t enough to prevent the filing of Chapter 11 bankruptcy. The filing will let the company, which employs 3,500 people, stay in business as it works to restructure its debts. Remington traces its history back to 1816, but the slump in guns sales is not unique to the company. Guns sales have plummeted under President Donald Trump, who is an outspoken supporter of gun rights. The sales slump coincides with an increase in production. According to figures from the Bureau of Alcohol, Tobacco, Firearms and Explosives, more than 11 million firearms were manufactured in the U.S. in 2016. That’s up from fewer 4 four million just a decade ago. 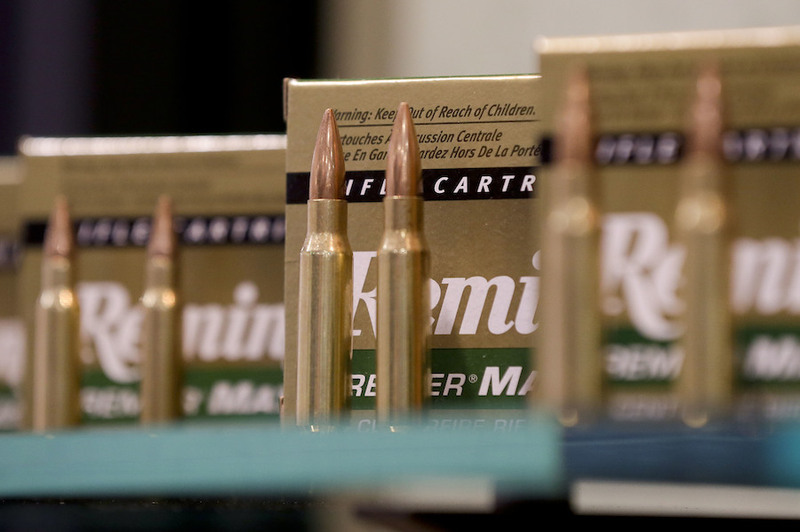 Aside from declining sales, Remington has also become the subject of several lawsuits. It recently settled a class action regarding defective trigger mechanisms and is a defendant in a case brought by families affected by the 2012 mass shooting at Sandy Hook Elementary School in Newtown, Connecticut. Last year, the Connecticut Supreme Court held oral arguments on whether to revive the case. A decision is still pending. Meantime in Bridgeport Superior Court, attorneys for Remington notified the parties Monday that proceedings are subject to an automatic stay because of the bankruptcy. Remington isn’t the only gun manufacturer to go through bankruptcy. In 2015, Colt Manufacturing in West Hartford, Connecticut, filed for bankruptcy protection. It emerged in 2016.